﻿Imagine three artists sitting at their easels about to represent the world around them. Take a subject as common as the human eye. Matisse just suggested the eye with two or three strokes of bold color and often hid his initials within those strokes. Magritte took the eye and turned it into a gigantic advertising poster – with clouds floating in the iris. And then there was Dali … the eye appears, suspended in mid-air over a sky, like a bruise glassy and weeping. The title The False Mirror is taken from the painting by Magritte. Magritte’s work takes ordinary objects and turns them into thought provoking mysteries. Dali, an ultra-surrealist. is an artist of dreamscapes that seem to scream for psychoanalysis. Matisse, who appears to be more serene of the three, is an artist that uses flat patches of intense color and tends towards an economy of line and shape. These three artists –Matisse, Magritte and Dali – having experienced many common life experiences, represent their views of reality in radically different ways. 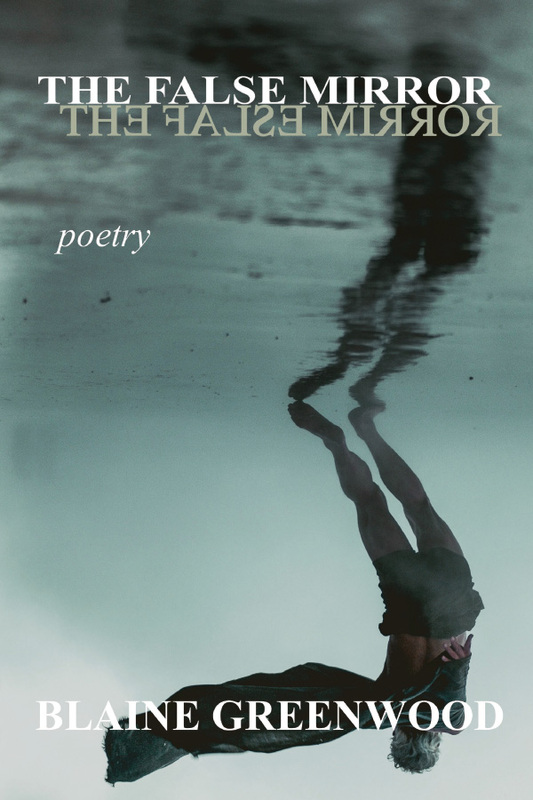 Hopefully what this collection of poetry will cause you to do is see reality not just with your eyes but your mind and your imagination as well. The title of Greenwood’s first chapbook Walking Naked Down the Street describes the experience of a writer baring his soul to the public. A selection of his poems have been published in the Interpscan Journal (Canada), in Our Journey (Oregon, USA), and in Mudlark Press’ Rags: Journal of Creative Writing. His first book Black Cat in the Shadows was published by Ekstasis in 2015. Greenwood was one of the Coordinators of MOST VOCAL Poets Society. He is currently one of the artistic directors of Lotos Land spoken word / poetry venue at Fort Macleod Alberta’s South Country Fair and DJ for CKXU’s Not Your Mother’s Poetry.